Can Truck Drivers Enter Canada with DUI? Any foreign national with a criminal record, including a single misdemeanor DUI, may be criminally inadmissible to Canada without special permission from the Government. This special permission is available as either a Canada Temporary Resident Permit (TRP) or Canadian Criminal Rehabilitation. A Canada TRP can permit an individual to travel to the country for a fixed amount of time and can be available for multiple entries for as long as three years. Criminal Rehabilitation takes much longer to obtain but is a permanent solution that never needs to be renewed and can enable a person to have access to Canada for the rest of their life. Since long haul truck drivers in North America will often haul freight on both sides of the border, it can be very important for any trucker with a DUI to overcome their inadmissibility quickly. Being denied entry to Canada when attempting to make a delivery north of the border is never a good situation, and could even result in the driver getting fired if the product is delivered late as a result. We have even received panicked phone calls from independent truck drivers who have lost major contracts with logistics companies because they are no longer able to offer cross-border trucking services. Impaired driving laws can be particularly harsh for professional drivers, and in many states, anyone holding a commercial driver's license (CDL) is often excluded from partaking in conditional discharge or DUI diversion programs typically offered to first-time offenders. Other types of criminal records, such as those for domestic violence, theft, assault, or drug possession, can also make driving a truck into Canada very difficult. A DUI is a serious crime north of the border, and as a result, any impaired driving offense can put an American at risk of being refused admittance by Canadian border agents. Even if the offense occurred more than ten years ago, an old intoxicated driving conviction can still cause potential issues when crossing the border. Requesting permission from the Canadian Government to enter the country with a DUI because you are a commercial truck driver can be considered a valid reason, but immigration authorities typically want proof that an applicant needs to cross the border for work purposes such as a letter from an employer or a delivery contract. Economic considerations play a significant role when deciding whether or not a candidate should be permitted entrance, and long haul truckers are vital to the shared Canadian and American economy. For this reason, it may be possible for truck drivers to obtain a Canada Temporary Resident Permit with a misdemeanor or felony record but they should always consult with an immigration attorney about their specific case. Our Canadian immigration lawyer has helped many US truckers overcome their Canada DUI entry impediment. Many North American long haul truck drivers have a FAST card allowing them to cross the Canada-USA border significantly faster. FAST stands for Free and Secure Trade, and the joint CBSA/CBP FAST program is a clearance program for commercial drivers designed to speed up trade between the two countries while at the same time ensuring safety and security. Many border crossings, including all the major trucking routes such as the Ambassador Bridge, offer dedicated FAST lanes to expedite transport truck travel across the border. With a shorter inspection time and fewer questions from border agents, FAST pass drivers are in higher demand and often receive better pay since they are capable of delivering goods across the border in less time. 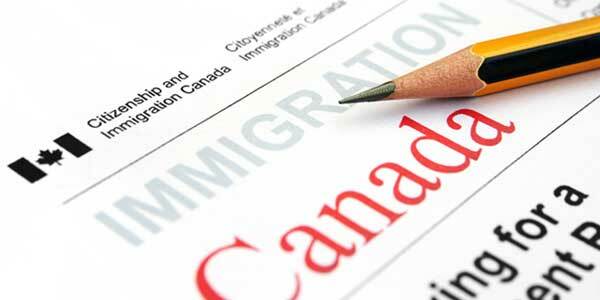 The program is only available to "low risk" candidates, however, and applicants may not qualify for participation in the FAST program if they are criminally inadmissible to Canada due to an alcohol related arrest or conviction. If a long haul driver cannot get a FAST card because of a DUI or other criminal conviction, it may still be possible for them to quality by overcoming their criminal inadmissibility via the Canadian Criminal Rehabilitation program and then applying again with a clean slate. If you drive transport trucks but have a DUI stopping you from entering Canada, phone us today for a free consultation. We can help you gain access to Canada once again, and may even be able to assist you in wiping the slate clean so you can obtain a FAST card.